How to Prepare Duplicate Service Book? Today I am going to explain the method of Duplicate Service Book. It is also necessary as it is of great value if the original service book is lost. 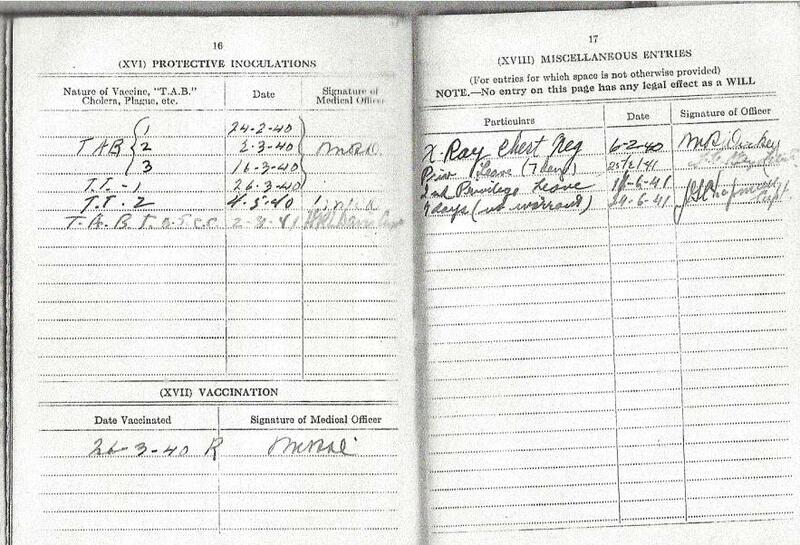 As you know the original service book is always in the custody of the DDO. You can get the original service book from the DDO and make all the entries of original serve book in the duplicate service book. Then get all the entries signed by the present DDO. Keep the duplicate service book in your own custody. Whenever a new entry is made in the Original Service Book, the same entry also be got made in the Duplicate Service Book and got signed by the DDO. You can also get the photocopied of the Original Service Book so that it may be helpful. If the Original Service Book is Lost and there is no Duplicate Service Book Available? Just find the person whose pay and allowances went parallel to the concerned person. The data from his service book is really so helpful. 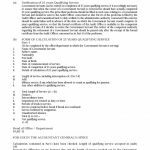 Just submit these possible documents to the Higher Authorities for proper sanction for the preparation of the Duplicate Service Book. This is all that is to be done for the preparation of Duplicate Service Book. Some more suggestions that I have got from Mr. Waseem Jaan & Mr. Shaheen Rehman, have been published same as I received, these may also be helpful in other cases. Other Visitors helped in this article are: Mr. Bilal Kausar Bilal, Mr. Waseem Jaan, Mr. Amer Mahmood, Mr. Chequo Jolly, Mr. Nadeem Mazhar, Mr. Fareed Ahmad. Important Note: These are only suggestions for some departments, these may vary from department to department. 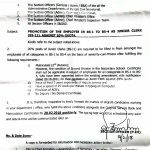 Sir, Hamara Adjustment/appointment Howa from 04 scale to 11 as Junior Clerk on dated 01.10.2018 kia main annual increment 1.12.2018 ka haqdar how ya na. Please reply me. Not confirm about the police verification, however you will appeal to ur higher autorities through proper channel for the same. Dear Solomon Malone yes service book required thumb impressions. i need some information regarding that a few pages in my service book are missing . how to get entries of those pages again in duplicate. xerox copy of the service in maintained. Please update any info about the matter??? My self Ayub Khan, my father is a telegram messenger in telegram dept. He is expired on duty due to some health problem. Can you please tell me the procedure how to get my father service book original/duplicate. pls intimate about relevant rule of covering approval of authority for preparation of duplicate service book. Dear Malik Mazhar Ali, every department has different authorities for the same. Hi miss, regarding this post, can you explain what would be the procedure if we do have the certified photo copy of service book, but original has been misplaced and no duplicate service book is been maintained by employee or the DDO office....?? and can the attested copy be considered for the retirement purpose as required along with the pension papers....? Sister many thanks for keeping us ever abreast. 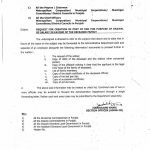 I have one question for you, can you tell me any post/designation in Pakistan who is in BPS-16 and is not gazetted and what are the entitlements of a BPS-16 officer in Pakistan (Federal Government)? Dear Abbas Waseer Allah aap ki madad karay ga. Aap kisi private firm say rabtaa karain. I have photo copy of My S/book from 1st page to last is it enough...??? okay i will try my best in the best interest of employee . Dear Safdar i think contract period must be entered as the same may be helpful in future. Dear Ahmad just scanned the same from market and email me. Brother ahmed mujtaba plz scanned the same letter and uplod to this web we need the above letter. Wht abt the Service books of Gazetted especially ... thr is gr* query still to-date in our organization that whether the upgraded Stenographers i.e. 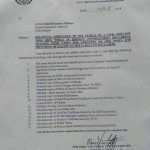 APS are Gazetted Officer or NOT ..
wht is the status of the APS... are they Gazetted or Not ? Dear Batool, I think APS are Gazetted Officers and Gazetted Officers have Gazetted History Sheet not service book. Still U think Ma'm , I ' m really surprised. Thank u for ur such quick reply.. U'r almost thr , when i need ur help. Thank u again for ur being so nice. I want the clarification in form of notification or some helpful documents. 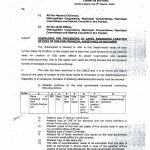 Finance Division O.M No 1(110)R-1/2012-124/13 dt 28 Feb 2013, regarding Re-designation of Stenographer as APS, it was mentioned in last line of the OM that Re-designation is with immediate effect, subject to Amendment in Uniform Recruitment Rules of ministerial posts. That last line is so confusing in our Officers' eyes. they r asking for These Rectt. Rules.